Send a Birthday gift that always rises to the occasion. 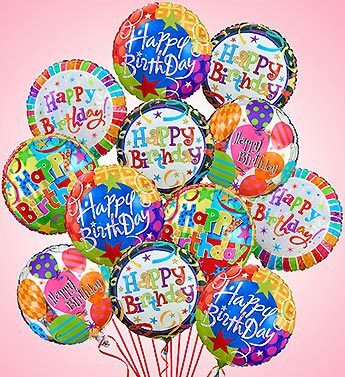 12 helium-filled assorted Happy Birthday Mylar balloons. Hand-delivered by us with your best wishes for their special day.